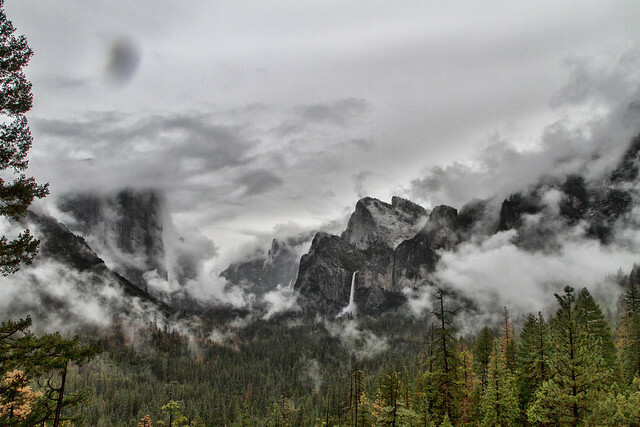 As we left Yosemite, the clouds were moving across the landscape, making everything dramatic. This is the tunnel view. It is the last big "official" view of Half Dome and El Capitan (although neither are clearly visible with all the clouds). 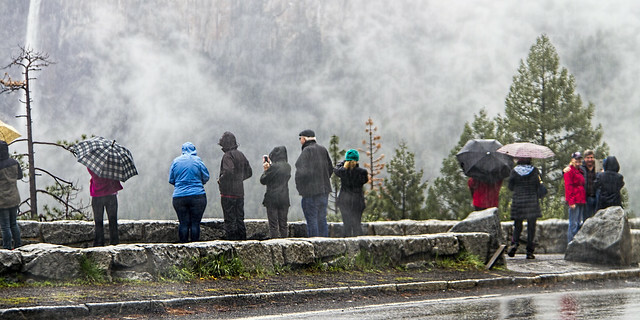 Even with the drizzly weather, people were still crowding the view point watching the dramatic sight.